Gazelli Art House presents the first UK solo exhibition of internationally acclaimed Italian artist Giovanni Ozzola. 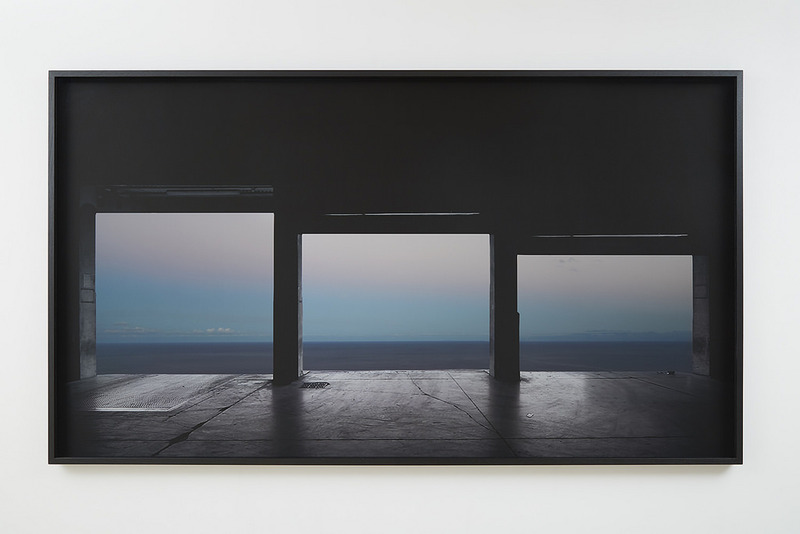 Dove Nasce Il Vento is the artist’s first UK solo exhibit and includes photographic stills including one work from his world toured video work Garage – Sometimes You can See Much More, and a series of new sculptures inspired by the vastness of nature and the idea of exploration. Giovanni’s work encompasses sculpture, photography, video, and examines the individual’s place within the magnitude of the universe and the concept of infinity. Through two large-scale photographic stills entitled Into The Blue and Untitled With Colours, Giovanni explores the relationships between images as a mental representation and reality. Contrasting a pure and untouched image of the horizon with an industrial foreground, he uses light as a tool to guide his vision. Through a series of fifteen wall sculptures entitled Bassorilievi, Giovanni sketches out mountain tops, cloud formations, and stars out of clay, cast in silver and gold. Using a vacuum forum, micro fusion casting technique, the intricacy of these small postcards size works is conveyed. These wall sculptures intentionally scaled down to a modest size, convey their uniqueness, as each captures a cloud, a star or a mountain witnessed by the artist. Una Testa E Un Universo Senza Titolo, 2015, inspired by the classical Hindu tale* The Tenth Canto of the Bhågavatam. Each head is identical in shape and size, but yet are unique as they respectively engulf an amalgamation of gem stones, placed in their mouths to symbolize and replicate the planets and the grandeur of the universe.